I’ve been wondering lately how to better share the rich resource of information hiding on pages in this site. For its first decade, the awakened eye was a self-hosted website, and it seems that the content enjoyed much higher page rankings then than it does now, hosted (freely) on WordPress. I have come to understand that blog posts, being interactive, tickle the toes of the search engines in ways that static pages do not. My new plan is to present much of the material published on static pages, as posts. These will not simply be replicated pages; they will link to the original pages but/and also contain fresh material. I hope this strategy works to introduce both old and new subscribers to more information that may be of interest, and that it throws a hook to the robots so that the artisans and writers who have contributed to the site will feature more prominently in search results. Usually when a new artisan is added to the artisans’ gallery, a blog post is published to introduce them and their work. However there are a few who were added years ago when the site made its quiet entry into online orbit, who missed out. Let’s start with them. Influenced by Ad Reinhardt’s Twelve Rules for a New Academy 1953, Celmins started to consciously strip away elements in her art and rejected gesture and composing. Returning again and again to ocean views, lunar surfaces and star fields she depicts vast expanses and creates depth through her investigation of the image and her chosen material. Most of her images are painted or drawn very close to the edge of the surface she is working on and seem to extend beyond the canvas and into the space occupied by the viewer. As I was working with the pencil, I got into some of the qualities of the pencil itself. That’s how the galaxies developed. Although Celmins has been associated with several art movements during her career she seems always to have operated outside the dominant trends of the day. The rigour and the intuitive nature of her process has restricted the volume of her creative output and in turn limited displays of her work. 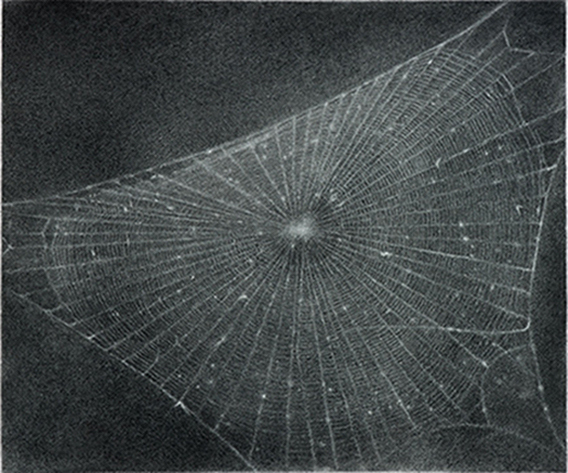 Celmins works at her own pace and has likened herself to the spider for its precise and industrious constructions. Maybe I identify with the spider. I’m the kind of person who works on something forever and then works on the same image again the next day. Tedious [work] for some; for me it’s kinda like being there. 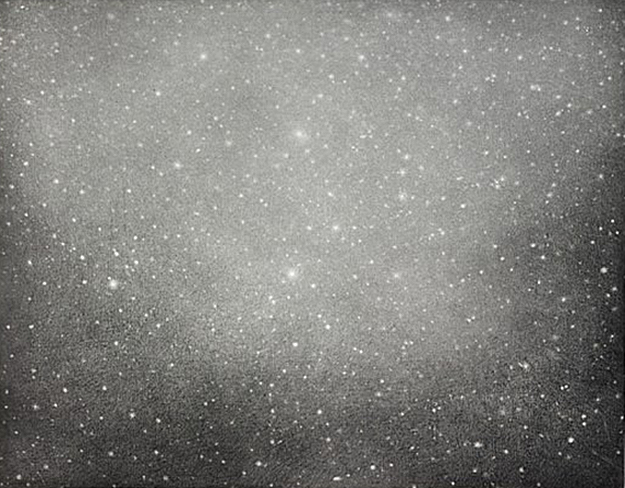 For Celmins a work of art doesn’t represent anything but itself. Through the photographic source material of oceans, night skies and deserts she relentlessly explores the image and the richness of its variation. As subjects they are united by their depiction of boundless nature and suggestion of the infinite. I’m not a very confessional artist, you know. I don’t ever reveal what I’m feeling in my work, or what I think about the President. I use nature. I use found images. In Celmins’ work however, the subject matter is secondary – her primary interest is that of making. Sometimes I’m convinced that there is nothing else but the physical act of making the art. I do like kind of impossible images. I mean images that are hard to pin down. That aren’t like a tabletop and an apple, but images that are really almost like mind images. Images that are space but they’re hard to grasp. But then they’re very graspable here, I mean, I make them accessible through another way, through manipulating the paint. I really do like a lot of solitude. It’s impossible to do anything without it.